Brian Boggs is famous for his beautifully crafted chairs, modern interpretations of traditional Appalachian styles. His favorite seat material is woven hickory bark. Harvesting hickory bark, an extraordinarily strong material, is a lost art. 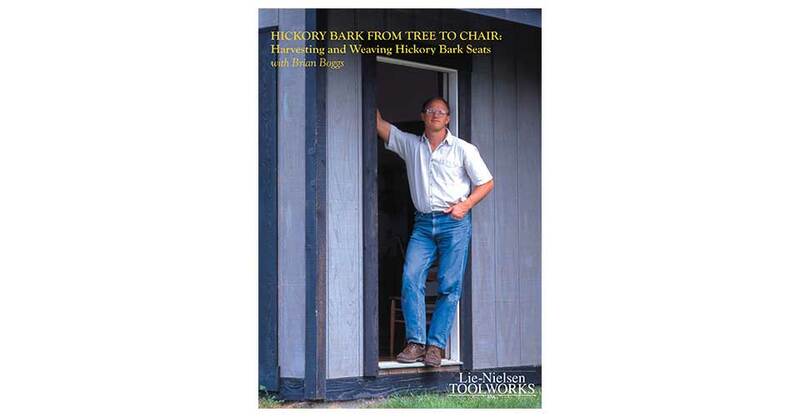 In the DVD, Brian shows you how he has re-invented ways to prepare bark and demonstrates weaving hickory bark seats. 48 minutes, Lie-Nielsen Toolworks Productions, 2003.